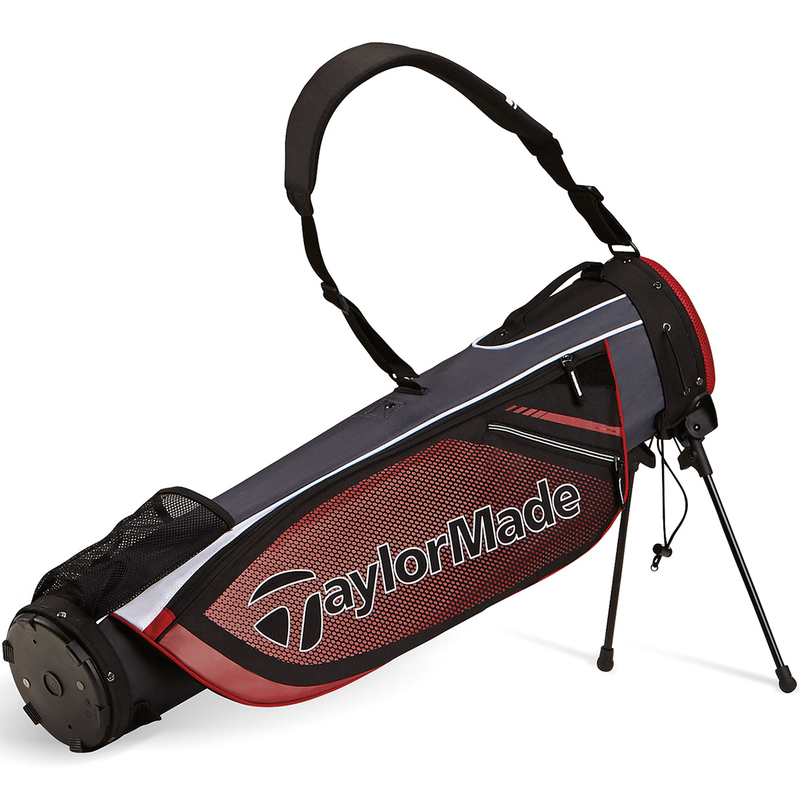 The Quiver carry bag from TaylorMade Golf has been designed to be used as a compact golf bag which is ideal for practising or travelling. 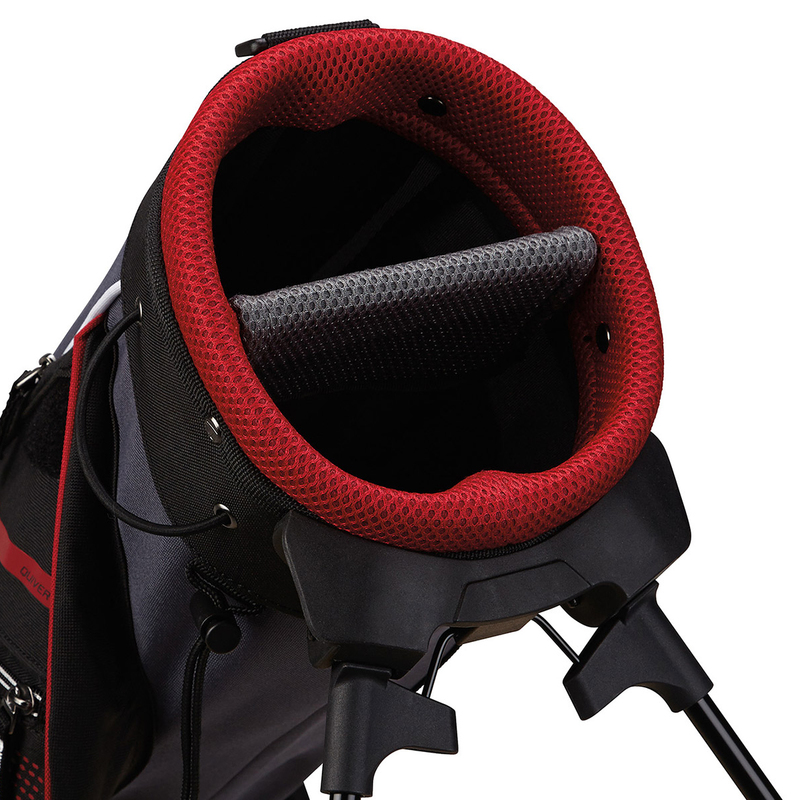 The bag has a smaller 6" x 6.5" top size cuff and has a crush resistant construction, with a 2-way top divider to help separate your golf clubs. 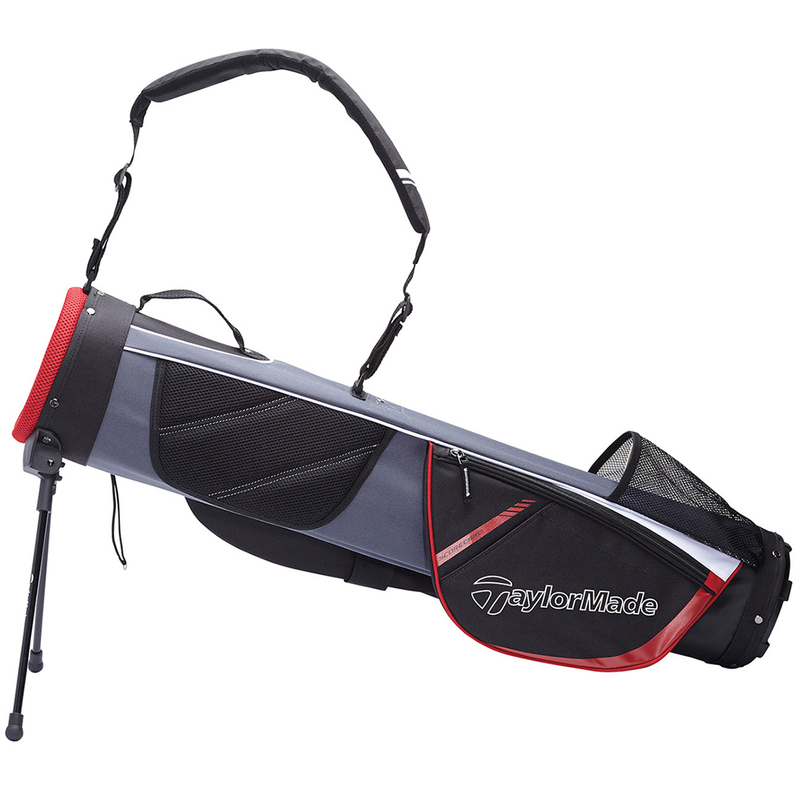 The bag also has 6 pockets which include a valuables, garment, accessory, beverage, and ball pocket, plus has a scorecard and pen sleeve to assist you round the golf course. 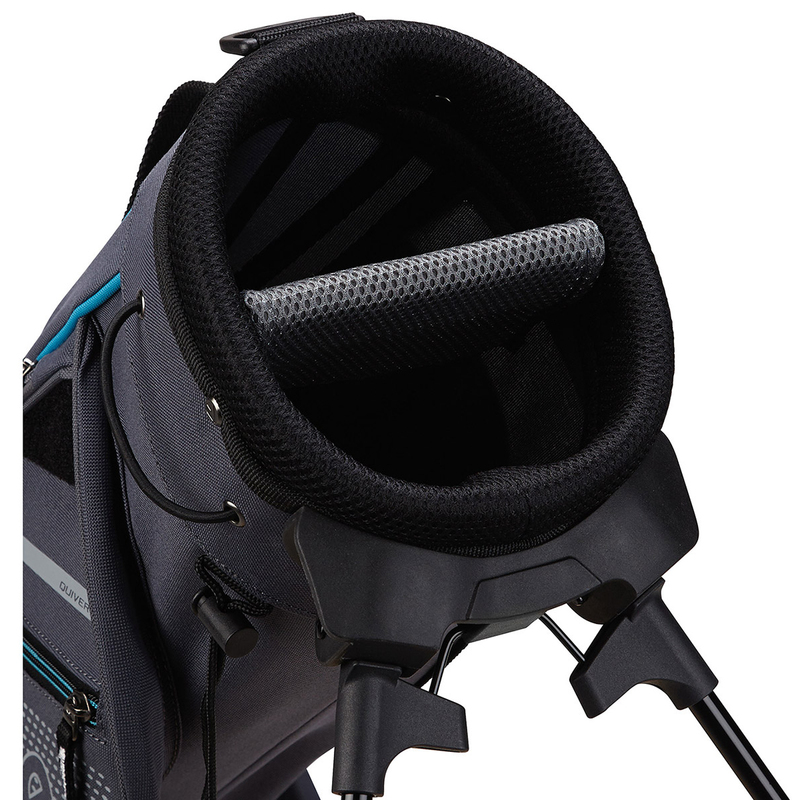 To ensure comfort the bag has padded shoulder strap, air mesh padded hip pad, and has micro stand system for added ease of use. 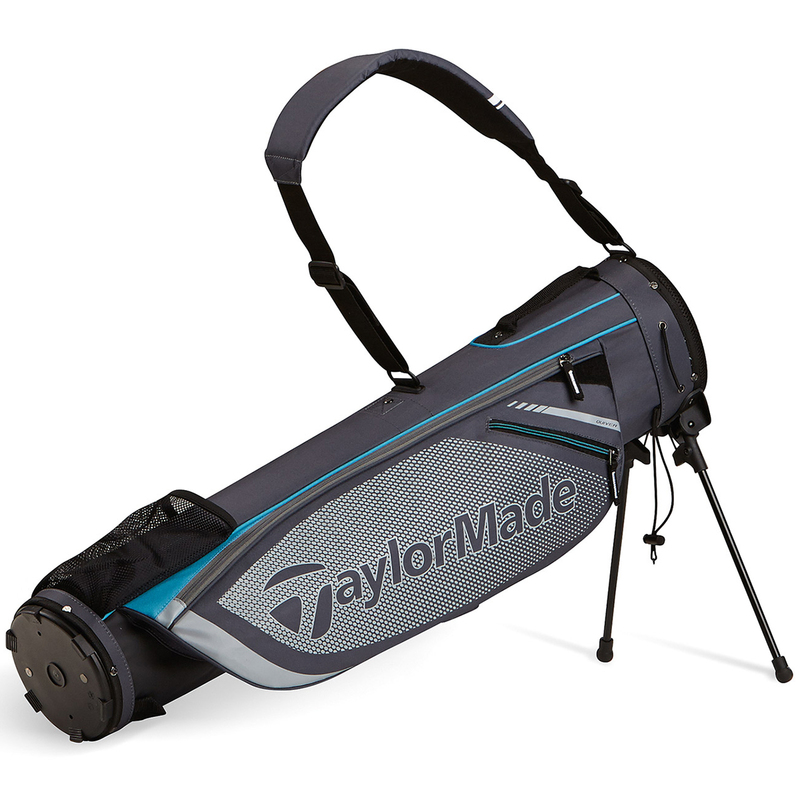 Bag weight - 2.4 lbs.